Government records show Missouri has some of the worst nursing homes in the country. During the past 3 years, the deaths of at least 28 nursing home residents in Missouri were caused by carelessness or neglect. Those deaths were caused by medication errors, bedsores and staff not being properly trained in CPR, among other causes. All of those deaths were preventable. As awful as it is that nearly 30 people needlessly died in nursing homes, due to under-reporting by the nursing homes, experts believe there were even more victims during that time period. Families for Better Care is a non-profit citizen advocacy group dedicated to public awareness of the conditions in nursing homes and long term care facilities. It has analyzed government data and state inspection records for nursing homes in every state. Missouri was given a grade of F for its nursing homes. Only 3 states were ranked worse. 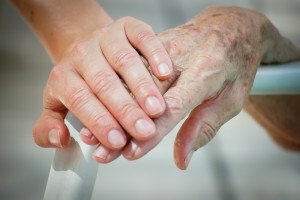 This is the first in a series of articles about nursing home neglect. Our next article will discuss how families can evaluate the safety of nursing homes based on government data – and learn which specific homes have the most fines and deficiencies from state inspections.